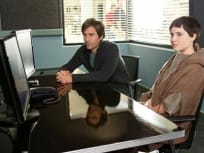 On the conclusion of the two part season finale of Perception, new evidence comes to light which may favor Pierce's conspiracy theory. 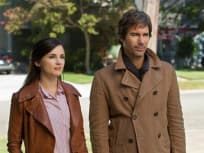 On part one of Perception's two part season finale, Pierce begins to distrust those around him as he helps investigates if there's a conspiracy surrounding the murder of a senator. On Perception, when a female college student is murdered Pierce is forced to look back at incidents from his past. On Perception, Moretti attempts to impress her new boss and Pierce must investigate a schizophrenic. On Perception, when a therapist is killed, the FBI asks Pierce for help in solving the case. Moretti gets closer to Professor Hathaway. On Perception, when a murder victim turns out to be a member of a cult, Pierce and Moretti investigate. 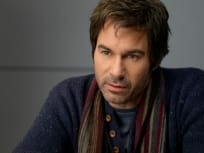 On Perception, Pierce has to crack a code hidden in a newspaper that may be connected to a killer. 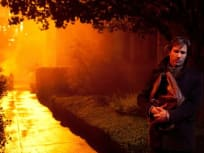 On Perception, when a serial killer from the 1980s begins killing again, Pierce and Moretti work together to catch him. 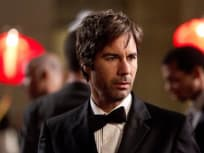 On Perception, Pierce is brought on board a murder investigation when the prime suspect has an unusual condition. 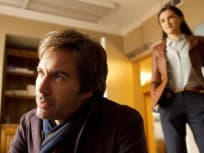 On the premiere episode of Perception, a neuroscience professor suffering from schizophrenia works with the FBI to solve difficult cases.